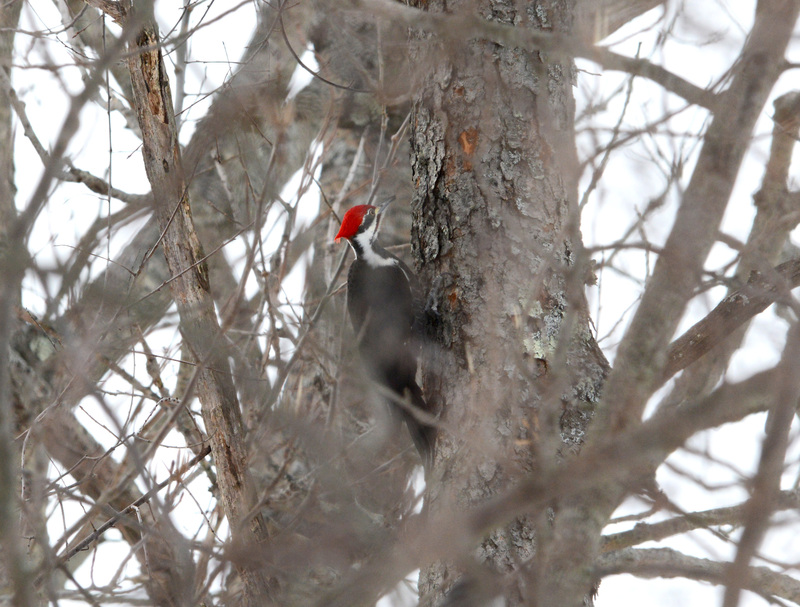 I adore your Pileated Woodpecker–used to have one visit the woods behind our previous house. I’m seeing similar birds but haven’t noticed the gold color returning on our Am. goldfinches. They are majestic, aren’t they? But their population is decreasing all around. They are on the brink of extinction now. They need mature woodland to live in. 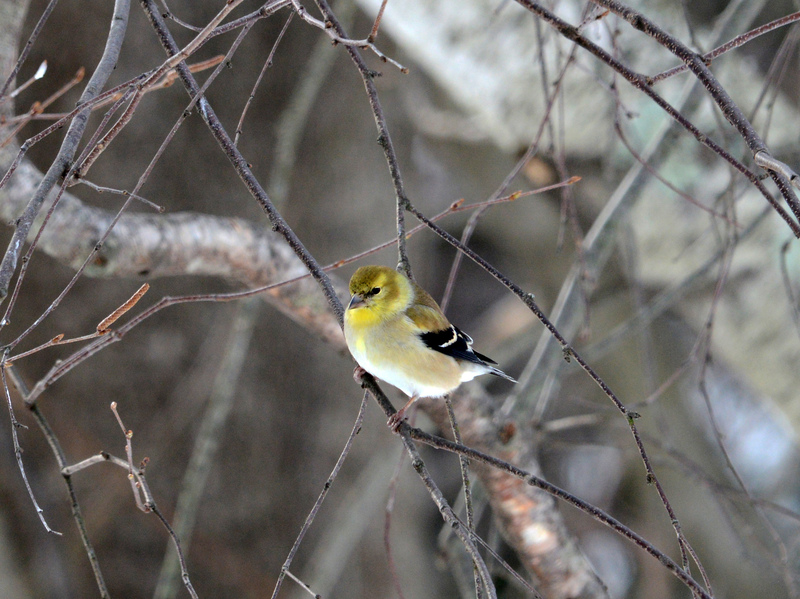 Interesting point about the Goldfinch not yet starting to molt where you are. Maybe they sense that a big snow storm is coming. I hope you won’t get hit much. Hi! 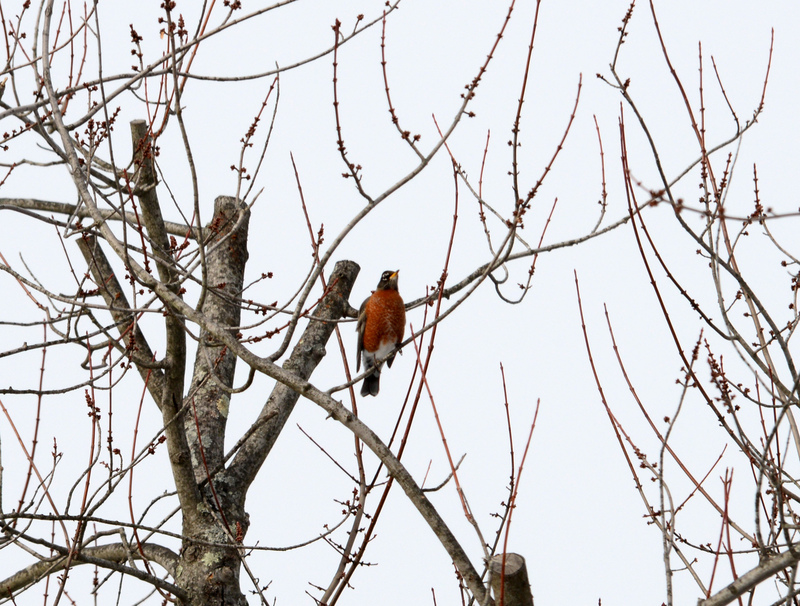 You have a nice variety of feathered friends in your garden. I look forward to seeing who else visits as we roll toward spring. I like the name of your blog. Butterflies, birds, and flowers are very special to me as well. Thanks for commenting on my blog. Nature keeps me sane after a long day of being in NYC. Not just their beauty but the symbiotic relationship between them that also fascinates me. 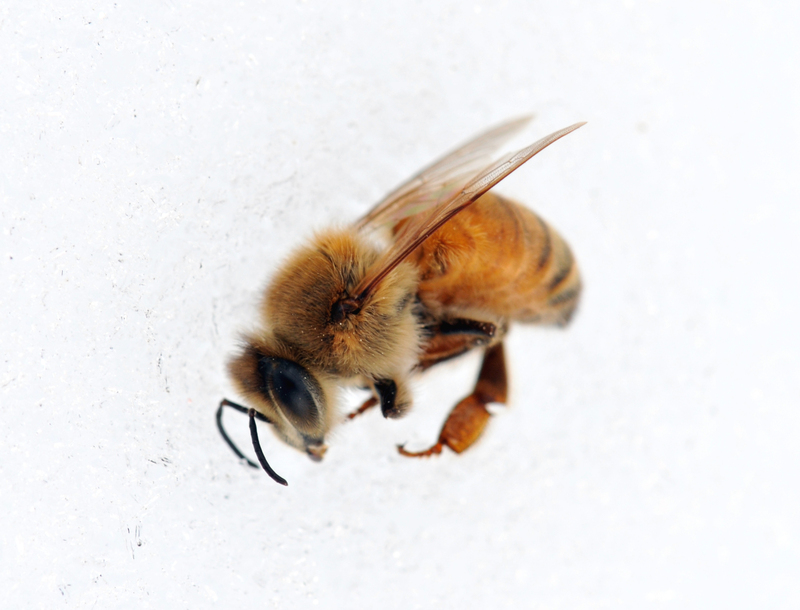 I consider it an accomplishment every time a new generation of birds is born an fledge in our garden, when a new type of insect appears or when our honey bees build up their next generation. It’s just a simple happiness that it gives me. I love your blog, with those fascinating birds that we don’t have around here. I’m hoping to see more of them as well. Well said. You have a poetic writing style. “Simple happiness” is the perfect way to describe how I feel when I am in nature. Pileated Woodpeckers have come to my suet feeders, but not yet this winter. It is always exciting when they do show up. You are lucky to have bluebirds at your feeders-they are so pretty. Some people on the Indiana bird list-serve have commented on seeing fewer Northern Cardinals this year. Has that been your experience or do the numbers seem normal in your area? 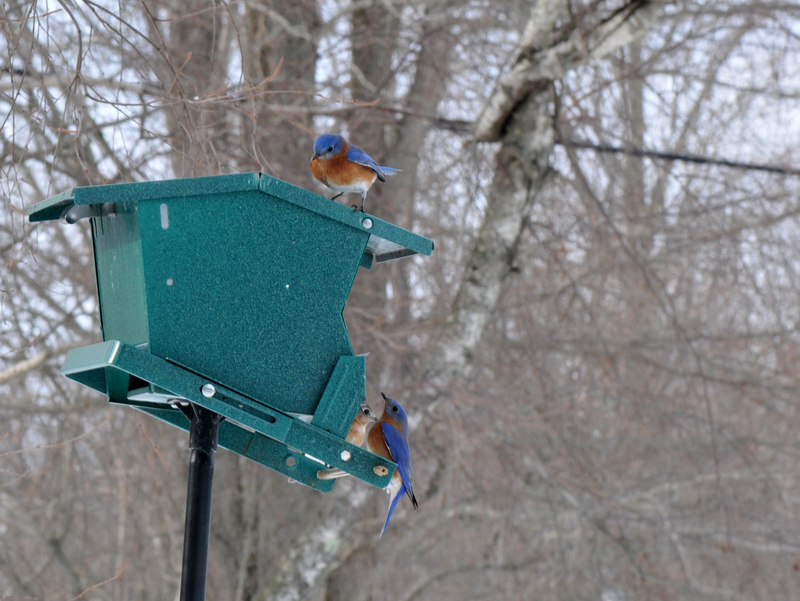 We try our best to provide housing for the Bluebirds and we have seen their population increase. But, in truth, we don’t really know if it’s a change in population or location due to the food and housing we try to provide. 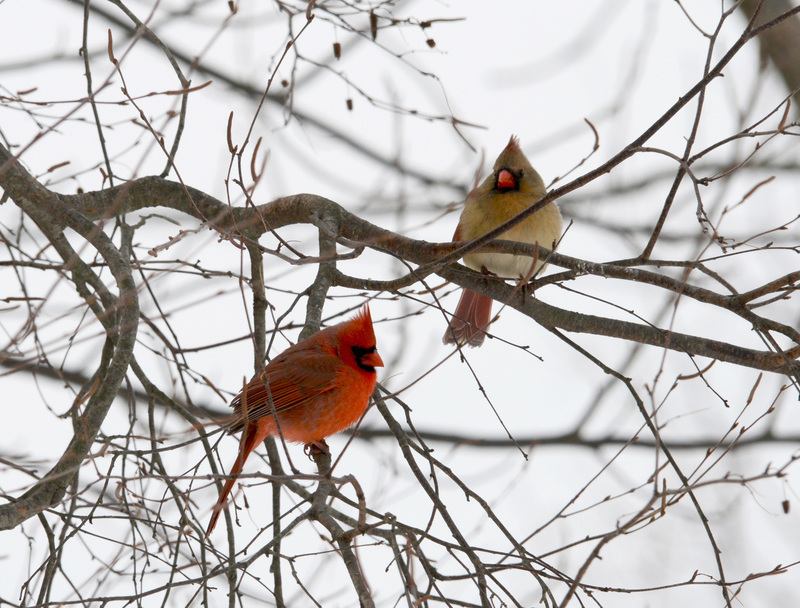 We also have a lot of Northern Cardinals, so far eleven of them at one time this winter. 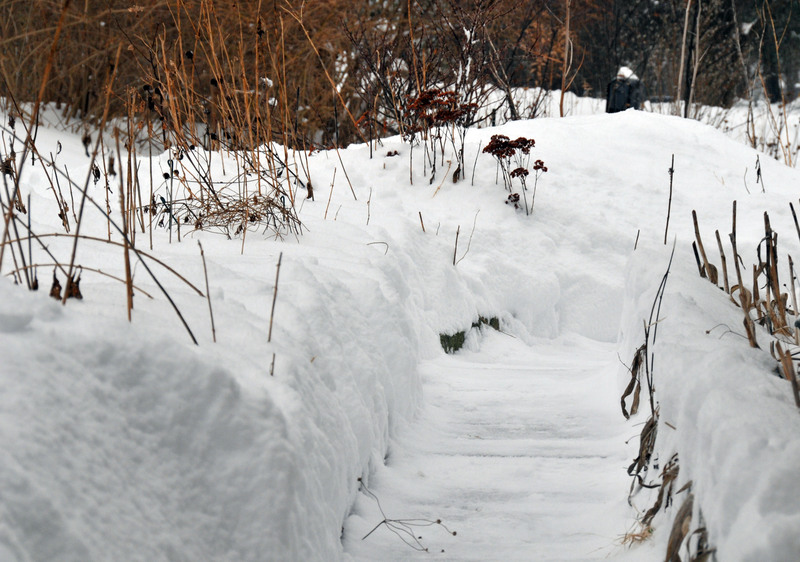 I think they also see our garden as a reliable provider of food, water and shelter, especially in winter. So I’m not sure I can make a judgment as to increase or decrease in general population. But we do remove most of the feeders in summer, once the migratory birds have gone on their way, so they can work our garden feasting on fresh organic insects.